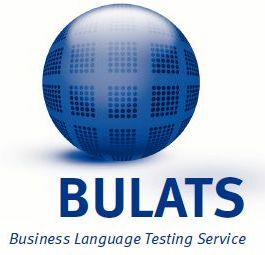 BULATS- Business Language Testing Service is an English language test for business (workplace) environment provided by Cambridge English Language Assessment. It is an alternative to the TOEIC English language test from ETS, measuring the everyday English skills of people working in an international environment. Since 2017, an online version of the test is the only available option for test-takers. BULATS can be taken in two alternatives – Part A- Speaking and Writing or Part B- Reading and Listening (Part B is the more popular option). BULATS uses the score from 0-100 points and then provides the CEFR equivalent. An official test result is available immediately and is valid for 2 years (similarly to IELTS). The BULATS Reading and Listening part takes about 60 minutes, the Speaking test is 15 minutes, the Writing test is 45 minutes. The price for one BULATS part is approx. 170 EUR, both parts cost about 300 EUR. IELTS and TrackTest English test- how does it compare? TrackTest English Proficiency Test is a set of six general-purpose English proficiency level tests. They provide an assessment of 4 skills- grammar (use of English), reading, listening, and optionally speaking and writing. TrackTest uses the adaptive placement test and then 6 CEFR proficiency levels (A1 to C2). Results and language certificates are available immediately after the completion of the level tests. Evaluation of the optional English speaking test is delivered 6 days after the test completion. The English certificate has lifetime validity. TrackTest level tests take usually up to 45 minutes, extra 20 minutes with the Speaking and Writing test. It is delivered online. It can be taken anywhere (unless the assessing institution requires your on-site presence) or in the assessment centre. TrackTest access to all English proficiency level tests costs 10x less. During 12 months, you may repeat the same level multiple times after 30 days. See what else is included in the licence price. Companies and organisations using or accepting TrackTest English exams in the business environment. Results available Immediately for Reading and Listening Immediately (the Speaking test after 6 days).